Nothing grinds the gears of a backpacker when they just want one little thing in their pack but can't find it! The search turns into a full pack-splosion with the contents of said pack laid bare in a heap on the side of the trail as the hiker frantically and exasperatedly continues the search. Don't torture yourself! With a little bit of organization you can always know where the items in your pack are located. 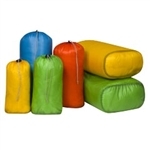 Using color coded stuff sacks for loose items grouped together are a quick way to know if you've got your hand on the right items. 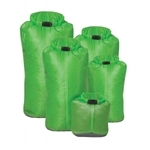 Using dry sacks for your sleeping bag and extra clothes make sure they stay nice and dry in wet conditions while also helping you pack your backpack in a more organized way. Each hiker has a different method for this, but stuff sacks aid in finding the perfect way for you to pack your backpack in an organized way!